The Rev. 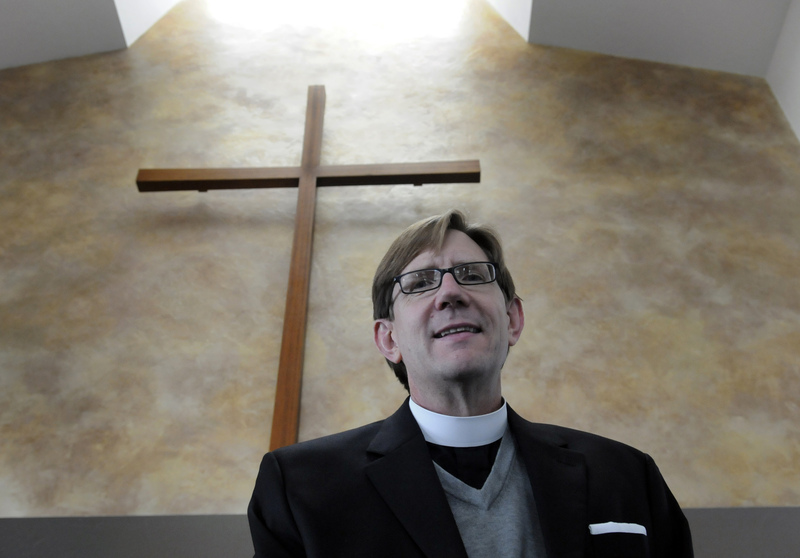 Brian Prior has firm roots in the Episcopal Diocese of Spokane. He grew up in Prosser, Wash., graduated from Whitworth University, was a fifth-grade substitute teacher at Midway Elementary in Mead and has worked in the diocese ever since he was ordained a priest in 1989. Those roots will be transplanted to Minnesota as Prior prepares to take his new role as the ninth bishop of Minnesota in February. Prior, 50, received word Saturday that he had been elected to the position by the Standing Committee of the Episcopal Diocese of Minnesota. “I was literally physically unable to speak,” he said. Of the other candidates for the position, two were women, one was gay and one was Native American. In each of the five votes Prior was in the lead, and candidates withdrew their names as the process went on. The final vote was between Prior and the Rev. Mariann Budde, the pastor of St. John the Baptist in Minneapolis. While electing a woman, a gay person or a Native American as bishop would have been historic, it didn’t seem that the diocese was looking at labels or categories during the interview process, said Prior. “I think they looked at us in terms of our gifts, not our gender or ethnicity,” he said. The road to bishop began with Prior’s first position, as associate pastor of St. Stephen’s Episcopal Church on the South Hill. From there he worked as the director of education and development for the Diocese of Spokane and also was executive director of Camp Cross, a church-run camp on the shores of Lake Coeur d’Alene. He took the position as pastor of the Episcopal Church of the Resurrection in Spokane Valley in 1996 and has been there since. In 2003 he was chosen to serve as the chaplain of the Episcopal Church’s national General Convention. In 2006 he was elected vice president of the House of Deputies, one of the two groups that make up the governing body of the Episcopal Church. He was re-elected to that position this summer, but must give up the post to join the House of Bishops. People Prior met during his national work suggested he allow them to submit his name for consideration in Minnesota. Prior said he had received calls over the years about positions in Chicago and Washington, D.C., but he turned them down because the work would have been urban. It was the mix of urban and rural ministry that interested him in Minnesota. He is set to be ordained and consecrated in February and plans to make the move to Minnesota sometime after the beginning of the year. “It would be wonderful if we could celebrate one last Christmas with our church family,” he said.